GT IMSA SportsCar Championship, Class GTD 66. 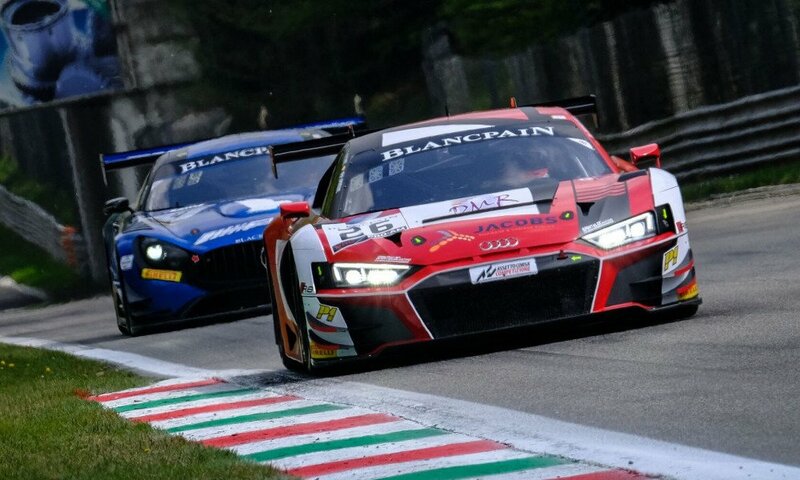 2018 GT Blancpain GT Series Endurance Cup, Class PRO Cup 30. GT IMSA SportsCar Championship, Class GTD 76. 2017 GT ADAC GT Masters 46. GT Blancpain GT Series Endurance Cup, Class PRO Cup 21. 2016 GT Blancpain GT Series Endurance Cup, Class PRO Cup 36. GT ADAC GT Masters 37. GT Blancpain Sprint Series, Class PRO Cup 12. GT IMSA United SportsCar Championship, Class GTD 75. GT Blancpain Sprint Series, Class PRO Cup 18. GT IMSA United SportsCar Championship, Class GTD 61. GT Blancpain Endurance Series, Class PRO Cup 48. 2012 GT 24h Nürburgring Nordschleife, Class SP 9 GT3 (single race) 1. GT FIA GT1 World Championship 1. GT 24h Nürburgring Nordschleife, Class SP 9-GT (single race) 2. 2010 GT 24h Nürburgring Nordschleife, Class SP 9-GT (single race) 1. TC DTM (German Touringcar Masters) 12. 2009 TC DTM (German Touringcar Masters) 10. 2008 TC DTM (German Touringcar Masters) 12. 2005 F.2 Formula Renault 3.5 World Series 3. 2003 F.3 Formula 3 Euro Series 4. 2002 F.3 german Formula 3 Championship 7. 2001 F.3 German Formula 3 Championship 5. 2000 F.4 Italian Formula Renault 2000 21. Formula Renault 2000 Eurocup, 6. 1999 German Formula Renault, 4. 1998 German Formula König, 2.